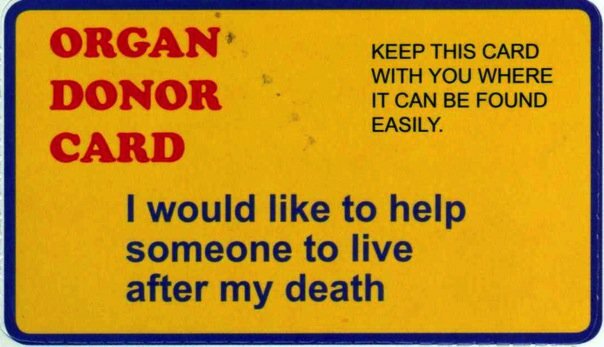 Thousands of people die every year because of organ shortages and yet every day we bury or cremate vital organs which could have easily been transplanted. This is the greatest gift anyone can ever give -- the gift of life. 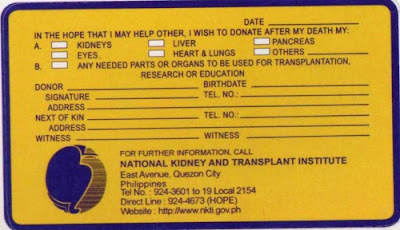 Print out the card, fill it out and keep it with your IDs or in your wallet. Remember, you can't take it with you. Make a difference. 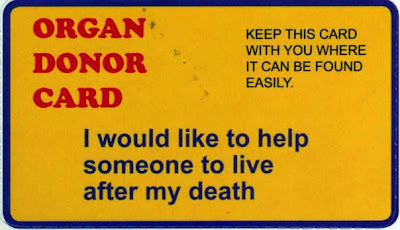 Help someone live after your death.